It appears Jones Radiator as we know it is no more. A farewell Facebook post arrived on Tuesday afternoon, with co-owners Lucas McIntyre and Jocelyn Macklem writing that since they don't own the building or the name, there might be another Jones Radiator at some point, but it "will be without our involvement." 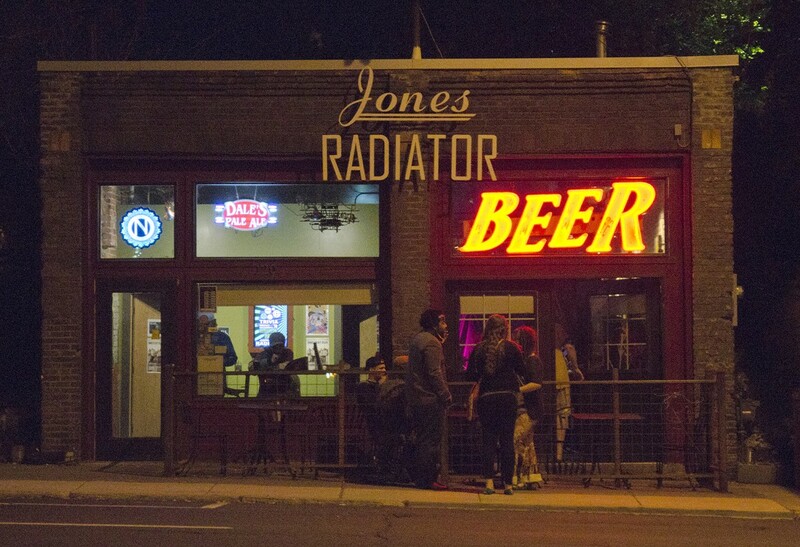 Jones Radiator is best known for packed-out trivia nights, live music, its "open mic of open-ness" and (at least in my house) Whiskey Wednesdays. It closed abruptly on April 22, and according to another Facebook post, it was "due to circumstances beyond our control." The bar was scheduled to be one of the venues for the Inlander's Volume music festival in early June, but had to drop out. On Wednesday via a Facebook chat interview, McIntyre explained that the shuttering of Jones Radiator came through a series of financial setbacks that ultimately led to the state revoking their business license. The couple took over Jones Radiator at the beginning of 2015 knowing it would be a challenge as their first business, and it was all that and then some. Beyond the day-to-day things like meeting payroll, stocking the bar and booking live music, both kept their day jobs (she managing a veterinary office, he doing billing for a local firm) while trying to make Jones work, they said. "We knew the bar was losing money when we bought it, but thought naively we could make it work," McIntyre said. "We spent the first few months trimming expenses and trying to get a read on the ins and outs of running a bar. By the end of last summer we had gotten behind with state taxing agencies, but had a plan in place to get caught up, mostly by Jocelyn and I working shifts behind the bar to reduce payroll." Macklem getting hit by a car last fall cost her the ability to work at either Jones or her day job for three months, and McIntyre couldn't work as many shifts, either. The increased payroll they had to make when they couldn't work, combined with the business lost to the wind storm in November and new competition opening downtown, meant the couple was never able to get caught up. After the state revoked their license, the only way they could reopen, he said, was to pay all the due back taxes, plus six months of estimated sales tax in advance. That amount proved too daunting. "This was the first time either of us had owned a business, and neither of us had even worked in a bar before," McIntyre said, adding that "we don't in any way want to appear to be shirking responsibility for things going this way — we definitely could have done some things differently. But it is a relief that we don't have to worry about whether we will be able to make payroll or have enough cash to order beer any more." The experience took a toll on the couple as well; they are now going through a divorce. And while they've heard someone might already be looking at buying the building and Jones Radiator name, McIntyre imagines if he ever goes into the bar business again, it will be elsewhere. "We learned an awful lot while we owned Jones," McIntyre said. "About ourselves, about business and about people. We will both miss our regulars who became friends and having the opportunity to be a part of people's lives. "I'm not bitter, just sad. But a lot of people never take the chance and I can at least say I didn't sit on the couch dreaming instead of going for it."